25 Years of Final Fantasy have come and gone. This Saturday, Square Enix is throwing a huge bash in downtown Tokyo to celebrate, and we gamers get to experience the latest in a string of 25th anniversaries. There certainly have been a lot these days. I’ve been a fan for more than fifteen years, jumping in during the SNES days with Final Fantasy II and III. I picked up Final Fantasy III at my local Microplay out of curiosity when looking for a fantasy outlet to satisfy my Lord of the Rings habit. It had “fantasy” in the title, so that was about as plain as it got. It turned out to be something completely different, and I was hooked into the story, characters, and world, much like the way fantasy is supposed to work. I became a huge fan, and the rest is history. Despite all the ups and downs and the current hard times that have befallen the series, I still consider myself a fan; but, its name does not mean the same thing anymore. What was once a seal of quality in itself, Final Fantasy is now just a brand name slapped on a lot of mediocre side-games that have little to do with the series’ themes and traditions, and even the main series seems to have lost touch with its fanbase. Ever since the merger of Square and Enix in 2002, I can’t remember really enjoying a new Final Fantasy the way I used to be able to. Since then, I’ve opened my eyes to other genres. Roughly around the time I realized Square Enix just wasn’t the same anymore, Resident Evil 4 and Star Wars: Knights of the Old Republic did a lot into getting me into third person shooters and western RPGs, and this expansion into other genres has drastically changed what makes a good video game. Beforehand, everything that was JRPG was god, and nothing else mattered, but nowadays I can look back on favorites and see which ones hold up and which ones really weren’t that great. Despite not particularly caring for the latest games in the series anymore, there really is no feeling in gaming like firing up a new adventure in your favorite classic Final Fantasy game. I’ve replayed quite a few in recent years thanks to Game Boy Advance ports and PSN releases. These are the ones that still hold up the best. Choosing between the first two entries on the Super Nintendo is much like choosing between fries or a burger. Choosing between Mick Jagger or Keith Richards. The two complement each other on just about every level, one constantly addressing and refining the issues that plagued the other. They look similarly, play similarly, but their approach couldn’t be any more different. and which characters will be in your party and it pulls you by the nose hairs from town to town experiencing scenario after scenario. This leash might restrain the game in the beginning, but as the story unfolds with powerful moments constantly firing off one after the other, it becomes obvious that such a grand tale could not have been told if left in the hands of the gamer. On the other hand, Final Fantasy V‘s forgettable characters and throw away plot only play background to the game’s fantastic RPG mechanics. Final Fantasy V gives you a blank slate, four undefined characters primed for whatever your imagination sees fit. Previous games in the series dabbled with the idea of Final Fantasy‘s job system, but this is where it finally came into fruition. Want to turn Bartz into a knight who knows white magic and can jump like a dragoon? By all means. Want to turn the Dragoon Princess Reina into a ninja with the power to call an army of squirrels? That’s an option to. Doesn’t really matter by the end because every character ends up as a mime, but Final Fantasy V‘s job system is so much fun, you’ll forget that there isn’t even a plot. every skill needed to make your ideal fighter? I grew up with Final Fantasy IV, and never got around to playing Final Fantasy V until the PlayStation release. After playing it, I realized that both are incomplete games when seen separately, but when paired together, they are the most perfected version of the original Final Fantasy vision ever created. 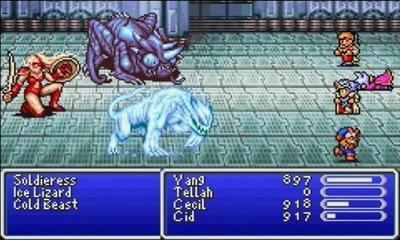 When it comes to which one I play more nowadays, Final Fantasy V easily wins in that regard. The charm of this black and white Gameboy release can be seen in the very first scene of the game. Our hero emerges into an arena, and without much explanation, a voice shouts out “Now fight!” and he finds himself in a gladiator match with an enormous tiger creature. Two simple words that define the entire game. “Now fight!” Not so much in their meaning or context, but rather in their presentation. Not until the 2003 remake Sword of Mana GBA remake was released did fans finally understand the genius of Final Fantasy Adventure. Essentially telling the same story, the remake was littered with chatty exposition and extended speeches from the characters, and eventually the plot became lost under all that reading. And for what? Final Fantasy Adventure already was and still is an emotionally gripping story, and it does so with the most minimalist translation in the history of video gaming. “Now fight!” I get it! Let’s go! “I hate the Dark Lord” a villager says. Awesome, me too! And yet, words are not needed to tell this story. The solemn music, the bleak world, the sullen atmosphere of all the towns, characters die left and right. Its more than obvious that the world is in pain with every new town or corner explored. I don’t need a village elder or mid-boss villain giving me an extended speech about how everything is awful. I can see it for myself. Aside from the minimal translation, Final Fantasy Adventure was also defined by its shallow RPG mechanics, essentially stripping down classic leveling up, party, and equipment systems to the bare-boned minimum and slapping it into a Zelda-inspired action adventure game. The map has a defined path and is much more linear than Link’s Awakening‘s open wold, but again, sometimes it takes a linear world to deliver a more engaging story. It’s by far the most mysterious game in the series. Such a small black-and-white handheld game can still deliver the same emotional one-two punch after all these years, and yet Final Fantasy XIII, with its five year development period and millions upon millions of polygons, fails to make me crack a smile. What was the formula, and where can Square Enix buy a bottle? Oh man. 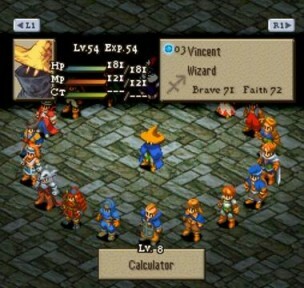 If Final Fantasy V got the ball rolling on Final Fantasy‘s job system, it was Final Fantasy Tactics that perfected it. Fans can go on for hours about the excellent characters, deep and twisting storyline, or how once they got Orlandu in their party, nothing stood a chance against them. Final Fantasy Tactics delivers on just about every level, but the true stars of this tactical RPG are not the named characters or their struggles by any means. As a kid, I would always look forward to getting the latest named character in my party, the awesome guys who could swing their swords and rain terror from the skies on enemy units. The latest flavor of the month was all that mattered if I could wipe out the maps easier. But, as I grew older and played Final Fantasy Tactics, I started to care less and less about the named characters. Orlandu broke the game, effectively making it a cakewalk and not fun anymore. Agrias was just a weaker version of Orlandu, but could barely excel in any other profession besides her exclusive Holy Knight job. Mustadio could stop people from attacking or walking, but so could a well trained Oracle who can do more besides. Cloud Strife? This isn’t even your game, stupid! These were not the characters who followed me selflessly into battle time and time again just because I asked them to. These were not the characters who loyaly followed every command I gave them. These were not the characters I wanted to share the victory with when taking down the final boss. I wanted to use my brothers and sisters-in-arms who followed me from the beginning. The ones I spent hours training and tweaking to be the killing machines I wanted them to be. No, the true stars of Final Fantasy Tactics are the stock characters you raise from the ground up into fierce and cunning warriors. Once again, true blank slates you can inject any personality or play style on. Knights, Archers, Mediators, Ninjas, Mages of all elements. 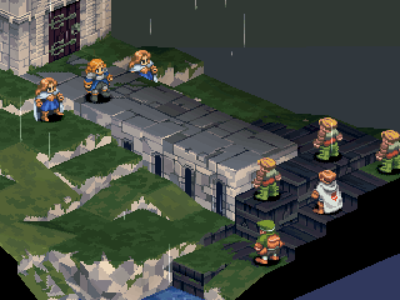 Final Fantasy Tactics created a special kinship with soulless pawns in ways no other video games have done since. 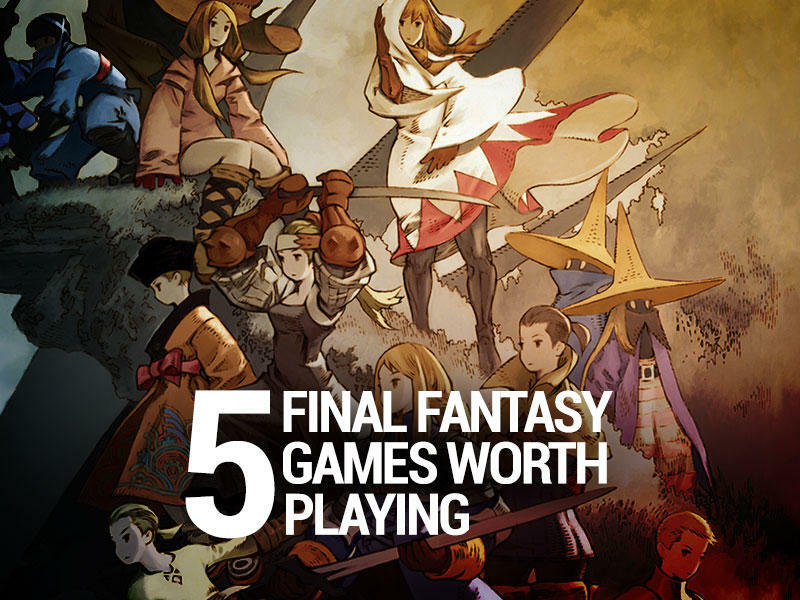 It would be higher on the list, but one area Final Fantasy Tactics has aged well is in its pacing. Since I first played it, Fire Emblem has come into my life, and it has opened the doors for how quickly and seamlessly a good strategy RPG should flow. Of course, the majority of the fun in Final Fantasy Tactics is done in the menu screen and not on the battle, but once those battles begin, Final Fantasy Tactics is a glacier when put next to Fire Emblem. Ah, my first dive into RPGs. Forgive me, I don’t really have that much to say about it, but I actually have a question for Final Fantasy VI. Somewhere along the line, Final Fantasy changed. The distinct fantasy vision from the first five entries clash considerably with the high tech 3D polygons of Final Fantasy VII and beyond. Regardless of whichever category gamers fall under, Final Fantasy VI remains one of the most beloved in the series because it speaks to both crowds. It’s another game that lands squarely on the bridge between what was and what’s will be, much like Alundra. The character designs shifted towards Tetsuya Nomura’s anime style, but the sprites remain in 2D. Fantasy elements like kingdoms, beasts, and swords all remain, but mechs and steam-punk became more frequent. Several of the more important characters’ personalities became more human, but many in the large cast never move beyond their initial motivations. The main villain started gaining more personality, but lacked a defined back story. 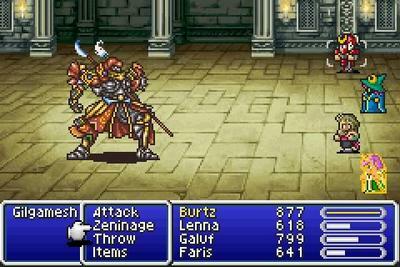 What did Final Fantasy VI really contribute to the series? It’s the easiest in the series, that’s fore sure, but it’s highly regarded for its huge cast of characters and impressive sprite work. Final Fantasy IV already had a huge cast, so Final Fantasy VI can’t claim it invented that. 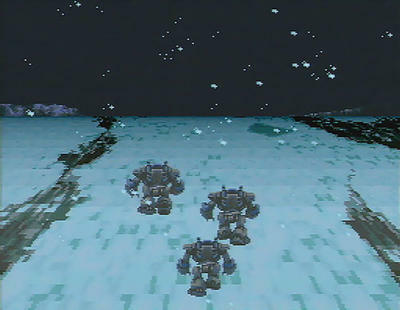 And the sprites were quickly tossed aside in favor of polygons in Final Fantasy VII. 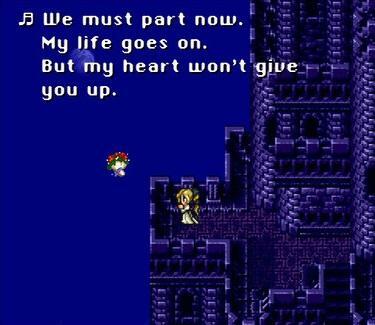 What did Final Fantasy VI do? The answer is honestly nothing; but, that’s ok because Final Fantasy VI is so good that it doesn’t need to shoehorned into a label. Each playable character is awesome, the villain is awesome, the music and settings are all awesome, and the story is just…awesome. Everything in Final Fantasy VI just works so perfectly on just about every level that it still remained the best in the series…until I played through Final Fantasy X for the second time last year. Let’s get this out of the way. This game was so good, it effectively killed the JRPG genre for an entire decade. 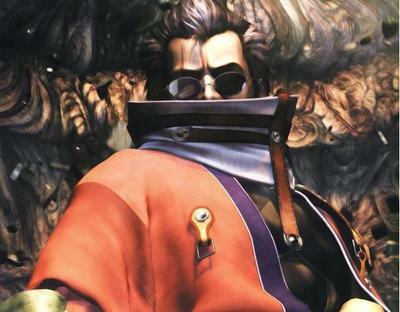 Shortly after Square showed the world what the power of the PlayStation 2 could do for JRPGs, everyone suddenly became inspired to create these monster projects that proved to be much larger than the niche genre could support. Final Fantasy X‘s cinematic flare and flamboyant art style cost smaller development teams well beyond their limited budgets to replicate, and yet none of them could get it quite right. This led to an entire decade of huge, flashy, cinematic RPGs trying to outdo the king, and each game ironically had little heart inside and lacked that extra something Square used to be able to make. But, if the price to pay for Final Fantasy X was a decade of deadweight JRPGs, then it was a price I was more than happy to pay. This game is an absolute masterpiece. I’ve only beaten it twice. Floored by the game as a young teenager, I played through it again last year expecting it to be another case of my teenage mind gone a little silly for Japanese storytelling, but nope. This game had it where it counts ten years later. It’s hard to put a finger on the one thing this game does right because it does just about everything right. What’s most interesting about Final Fantasy X, though, is how original it is. 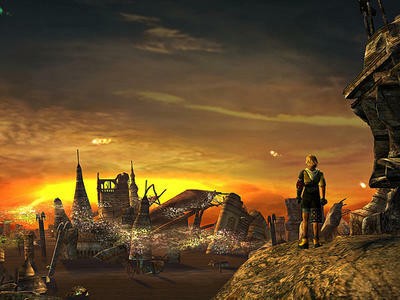 Very little is borrowed or recycled from previous games in the series. Final Fantasy X‘s original ideas are actually a series of huge gambles, where each and every one works and pays off ten fold. Starting with the battle system, every character is available for use, and can jump in and out in a sort of tag team style. This helps keep battles interesting and more strategic with each character having their own strengths in certain situations. It also helps with the narrative because it means the solid supporting cast will always be with you, and you won’t be limited to the viewpoints of your preferred team. The advancement system also works; each character following their own path on a grid of stat boosts and abilities, but experimentation is encouraged. Plenty of opportunities arise to break the barriers and cross into someone else’s path to learn a foreign spell or get a powerful stat boost in an area not usually available to the character. The results are black mages who can heal, sword fighters who can cause status effects, and thieves who can cast time magic. At the core of these great gameplay ideas is an emotional story, filled with tragedy, love, adventure, companionship and a bitter rebellion against corruption. Final Fantasy X‘s narrative easily takes the crown as the best in the main series thanks to its plentiful themes and strong cast. A hardened warrior with a touch of sadness, a jock, a loyal beast, a shadowy and sultry mage, a perky thief from an exiled culture, and, at the core of them all, a beautiful caring young woman doomed to die and the one man who believes he can save her. Final Fantasy X‘s brilliant cast touches just enough on JRPG tropes to be considered classic, but each finds their own identity as something new and amazing. There isn’t a doubt in my mind that the talented voice acting allows these characters to come across as so real. Each actor does a wonderful job bringing their character to life in ways the series had never done before, and has yet to match, really. I’m a firm believer in that it is no coincidence the rise in voice acting and decline in quality of JRPGs line-up perfectly with one another. But, again, many tried to use the idea and failed to match Final Fantasy X‘s quality. Just as long as we forget about THAT scene, we’re fine. And that ending…oh my god, that ending! Final Fantasy fans know. There isn’t a better in the series. It’s just so…perfect and beautiful. Is impossible to put into words. Combining the best narrative in the series with the best gameplay, its the ultimate vision of what Final Fantasy has become since cinema and science fiction took over. Not to say I prefer the newer style over the old, because I don’t, but Final Fantasy X just works on levels many that its siblings can only dream of obtaining. Oh, I can’t wait to play it in HD! There they are, my favorite Final Fantasy games. What does Final Fantasy man to you, and which are your favorite memories?